We incorporate the concept of freedom into every pair of shoes we make. That’s why we use soft, hand stitched, top-grain leather inside and out, flexible soles so feet move effortlessly and gel lined insoles for forgiving landings. With the first touch, you'll feel the difference in our shoe and with every purchase you'll make a difference too. We believe every step is important in a child’s life, especially the first steps toward education. That’s why LennyLu partners with www.savethechilderen.org. A portion of the proceeds go to help fund early education to put children on the right path toward a brighter future. It’s like she was born with an extra sense for all things impeccably stylish and cute. At LennyLu we incorporate the concept of freedom into every pair of shoes we make. That’s why we use soft, hand-stitched, top-grain leather inside and out, flexible soles so feet move effortlessly and gel lined insoles for forgiving landings. With the first touch, you'll feel the difference in our shoes and with every purchase, you'll make a difference too. There are those with places to go and those who go places. This easygoing soul lives for the journey and enjoys making new friends along the way. 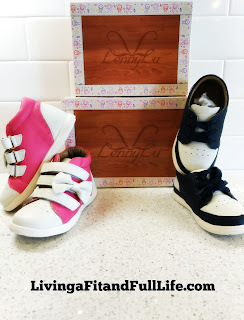 Support early education and get kids back to school ready with LennyLu Shoes! LennyLu Shoes are not only extremely adorable, but they're extremely well made. My son and daughter received a pair of LennyLu Shoes and have been wearing them non stop. They're the perfect dressy or casual shoes for just about any occasion. As a mom of four, I know how quickly kids can wear out shoes but I have to say LennyLu Shoes have been holding up extremely well. My kids wear them to church, to play at the park and just about everywhere else. Normally most shoes would already be showing quite a bit of wear but these shoes still look brand new. I also love that LennyLu believes every step is important in a child’s life, especially the first steps toward education. LennyLu partners with www.savethechilderen.org and donates a portion of the proceeds to help fund early education to put children on the right path toward a brighter future. As a homeschooling mom I love supporting companies that support education! 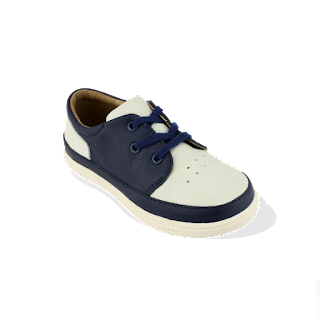 LennyLu Shoes are the perfect shoes to help kids get ready to head back to school and look fashionable all year long! 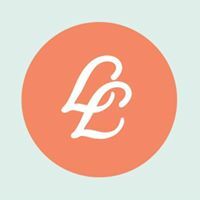 Click HERE to learn more about LennyLu! Follow LennyLu on social media!